A key data point to watch, now that corporate blackout dates have come and gone, is insider selling activity. Examining the influential short-sellers' big winners and losers provides important insights into trading and investing. Spending on online ads is still growing at a healthy double-digit clip. Google, Facebook and Amazon will benefit, as should some smaller players. Let's check out the charts. Why one of the biggest winners from last year is ready for another big move up. As Apple preps video and news/magazine services for launch this year, a new report states the company is also thinking about launching a gaming service. A strategic shift by Verizon towards telecom investments -- and away from online advertising -- could affect a lot of companies. Time to ring the register on our speed date with MTCH and our spring romance with TTD. It may be time to look away from Facebook from the advertising side. These names are showing bullish or bearish reversal patterns for the past week. 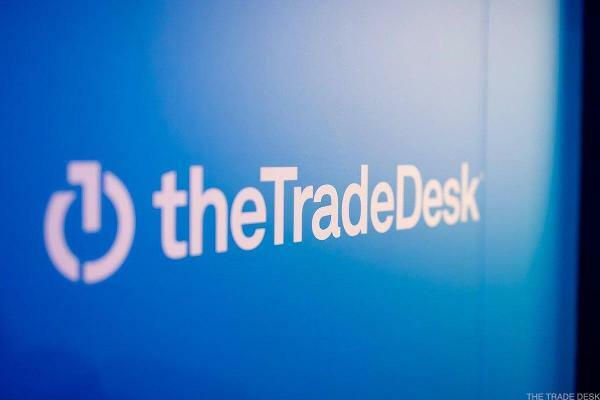 Painful selloff in heavily shorted Trade Desk has created an opportunity for bold players. This company beat expectations, and has a bright outlook. Tightening stops, closely watching momentum stocks and considering index shorts as I get more defensive. TTD is a huge under-the-radar idea not only for Black Friday, but the entire holiday season. There is nothing driving a major market shift, so if you want to be active, focus on individual stocks. Closing out the position ahead of next week's earnings, along with The Trade Desk. Earnings season always offers some great opportunities, but the right strategy is key. Rotation that's taking place under the surface must be navigated. If the Nasdaq ETF stays in the red, the bears will get some confidence. But now that we have a little softness, the charts will be able to develop into some better patterns. Six big Friday movers are on my radar. Try this call strategy to get some exposure to TTD. While not unexpected, today's consolidation is making trading more difficult. We could see this stock move on to new highs. This action is deceptively difficult to trade.